The most common code that covers the decommissioning of tanks, whether above ground or underground, is Uniform Fire Code 7902. It was adopted in the State of Washington and is the default code used by most counties and municipalites. Permits for tank decommissioning are generally issued by the local fire departments, but some jurisdictions use their building departments for this as well. Sample photos are located at the bottom of this page. The local Fire Chief or Fire Marshall establishes the requirements or procedures for dealing with heating oil tanks that are no longer in service. The Uniform Fire Code requires than an underground heating oil tank that has been out of service for a period of one year be: Removed from the ground, or Closed in place The decision as to which option will be required is up to the local Fire Chief. (Reference: Uniform Fire Code, Section 7902.1.7.2.3). If an underground heating oil tank is closed in place the following requirements must be met Flammable and combustible liquids, as well as sludge, must be removed from the tank and connected piping; The suction, inlet, gauge, vapor return and vapor lines must be disconnected; Remaining underground piping and openings must be permanently capped or plugged; A record of the tank size, location and date of abandonment must be maintained; and The tank must be filled with an approved, inert solid material. Effective July 1,1998, an exception to the requirement that the tank must be filled with an inert material is provided for residential"exception to the requirement that the tank must be filled with an inert material is provided for residential heating oil tanks of 1100 gallons or less, provided the fill line is permanently capped or plugged, below grade, to prevent refilling of the tank. (Reference: WAC 51A4-7900). The decision as to whether this exception will be allowed is up to the local Fire Chief. Heating oil tanks (including underground tank systems) used for storing heating oil for consumption on the premises where stored are exempted from regulations and rules of the Department of Ecology. If, however, a spill or release from a tank causes extensive contamination, Ecology may become involved. Some local governments may have regulations for heating oil tanks. Check with your local Fire Chief. Service providers for heating oil tanks vary in work experience, services provided and fees charged for services. The cost of heating oil tank services may vary depending on the size, location and accessibility of the tank. Cost may also vary widely among companies performing the same work or service. You should get more than one bid from one service provider for the scope of work you may be considering, as well as the costs of work or services being proposed. Do not hesitate to ask potential service providers for references. Make sure anyone you do business with is licensed and bonded. Always remember that if contamination is present on your property, you are the party that may be held liable for damages. Removal of one underground heating oil tank, (300 to 1000 gallon capacity), cleaning and disposal of the tank, and backfilling the hole should cost between $1,000 and $2,000. If a tank is closed in place, sludge and remaining oil must be removed. This usually mounts to 10 to 15 gallons and should cost no more than $2,000. Site assessments and soil sampling do not have to be performed by a certified UST Site Assessor. Assessments completed by a certified UST Site Assessor might cost more and are neither required nor necessary. Soil sampling may be required as part of a site assessment. Samples should be taken where major or extensive leaks are most likely to occur, not next to the fill pipe of an underground tank, or where routine overfill spills may have occurred. The cost of sampling soil to test for TPH should be $150 to $250 per sample. No more than three samples should be necessary. 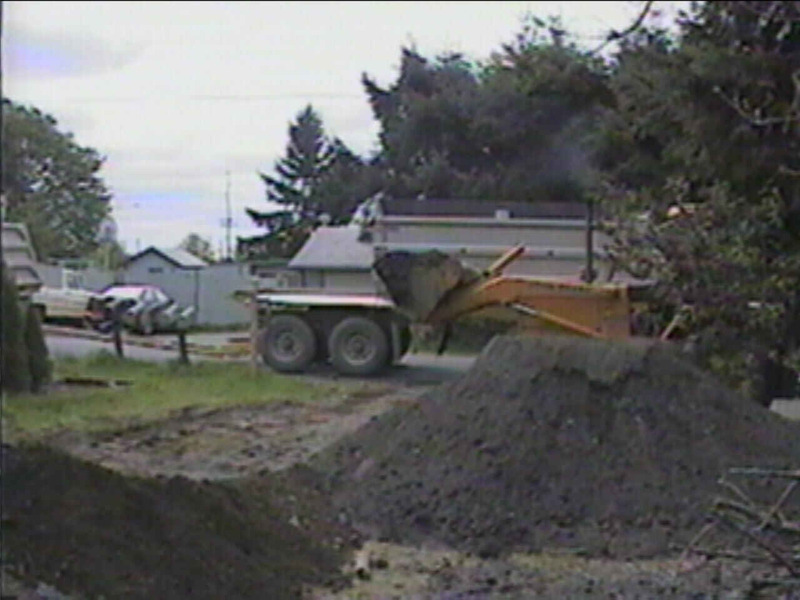 If contaminated soil must be removed from the site, a reasonable cost for excavation, loading and unloading, transport, disposal and taxes is $150 to $300 per cubic yard if less than 30 cubic yards are removed. If the contractor provides an estimate in terms of cost per ton, use an estimate of 1 cubic yard 1.6 tons ($160 per cubic yard = $100 per ton). In-situ bioremediation is an alternative to removing soil, particularly if the location of the tank is an impediment to heavy equipment accessibility or structural integrity, safety a concern, or time is not a factor. A cost and fee guideline has been published by PLIA for heating oil tank related services, and is available on request. Over the past few years, difficulty has arisen in closing real estate transactions involving properties with an active or abandoned heating oil tank. Sellers of properties with an active or abandoned heating oil tank are being required to spend considerable sums to either remove a heating oil tank that is no longer in service, or to clean up contamination that is minor in nature and does not constitute a threat to human health and the environment. Corrective action to remove or treat contamination from heating oil should not, in most cases, be perplexing. 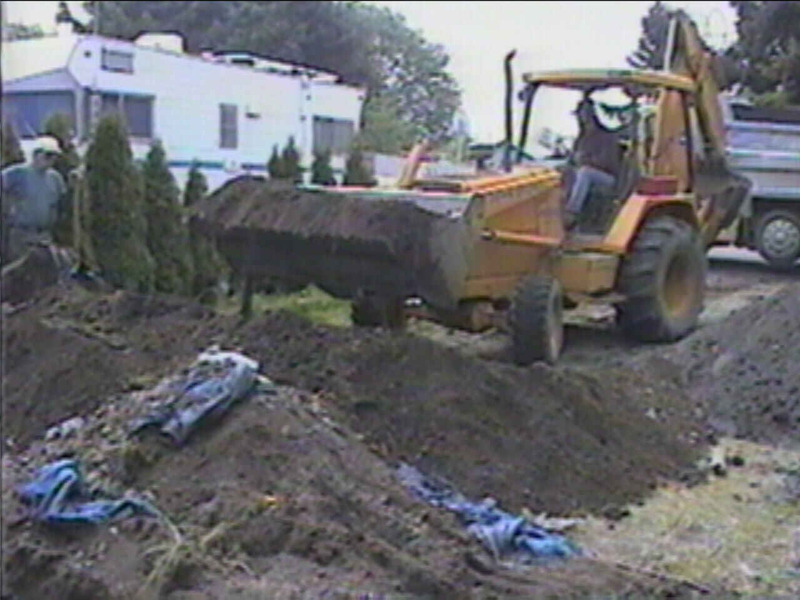 Dealing with contaminated soil is usually not complicated. The presence, however, of contamination of surface or groundwater, or the presence of fumes in a basement or crawl space may complicate the problem and lead to more involved or costly courses of corrective action. The satisfactory remediation level for most residential soil contaminated with #2 heating oil or diesel fuel is 200 mg/kg for Total Petroleum Hydrocarbons (TPH). If contamination from a spill or release from a heating oil tank does not pose an imminent threat to human health or the environment (no vapors or groundwater contact noted), cleanup does not have to be accomplished right away. A property transfer may well prompt a lender or purchaser to require cleanup prior to completion of the property transfer, but there is no legal requirement for an immediate cleanup. Contamination has reached adjoining properties. Contamination has affected a well or groundwater. Oil has pooled on the surface of the ground. Contamination has caused vapor problems in nearby buildings. If heating oil contamination has spread to surface water such as a creek, lake, river, or storm sewer, you must report it immediately to Ecology's Emergency Management Division at 800-258-5990. Although there is no legal requirement, you should consider keeping a copy of all correspondence related to a heating oil tank project, including copies of testing and lab results. It is advisable to take photos during any testing, corrective action or related activities. 7902.1.7 Abandonment and status of tanks. Tanks taken out of service as a result of a property's being abandoned or its use being changed shall be removed or abandoned in place in accordance with Section 7902.1.7.2.3 or 7902.1.7.3.3. The time schedules stipulated shall not apply. In other cases, tanks taken out of service shall be safeguarded or removed in accordance with Section 7902.1.7. 7902.1.7.2.1 Temporarily Out of Service. Underground tanks temporarily out of service shall have the fill line, gage opening, vapor return and pump connection secure against tampering. Vent lines shall remain open and be maintained in accordance with Sections 7902.1.10 and 7902.2.6. 1. Flammable or combustible liquids shall be removed from the tank. 3. Vent lines shall remain open and be maintained in accordance with Sections 7902.1.10 and 7902.2.6. 7902.1.7.2.3. Underground Tanks Out of Service for One Year. Underground tanks which have been out of service for one year shall be removed from the ground in accordance with Section 7902.1.7.4 and the site shall be restored in an approved manner. When the Chief determines that the removal of the tank is not necessary, abandonment in place is allowed. 1. Flammable and combustible liquids shall be removed from the tank and connected piping. 2. The suction, inlet, gage, vapor return and vapor lines shall be disconnected. 3. The tank shall be filled completely with an inert solid material approved by the Chief. 5. A record of tank size, location and date of abandonment shall be retained. 7902.1.7.2.5 Reinstallation of underground tanks. Tanks which are to be reinstalled for flammable or combustible liquid service shall comply with all of the provisions of Article 79 and shall be tested in a manner approved by the Chief. 7902.1.7.3.1 Temporarily Out of Service. Above ground tanks temporarily out of service shall have all connecting lines isolated from the tank and secured against tampering. 7902.1.7.3.2. Out of Service 90 Days. Above ground tanks not used for a period of 90 days shall be safeguarded in accordance with Section 7902.1.7.2.2 or removed in accordance with Section 7902.1.7.4. EXCEPTION: Tanks located at refineries, bulk plants and terminals that are in operation. Piping at tank openings which is not to be used further shall be disconnected, Piping shall be removed from the ground. Exception: Piping shall be allowed to be abandoned in place when the chief determines that removal is not practical. Abandoned piping shall be capped and safeguarded as required by the chief. 5. Tanks shall be purged of vapor and inerted prior to removal. 7902.1.7.4.2 Disposal. Tanks shall be disposed of in accordance with federal, state and local regulations. If you missed the 2" fill pipe in the lawn.... Did you find the vent pipe nearby? Once in a while you'll see delivery lines.... Oil delivery lines near new gas furnace? 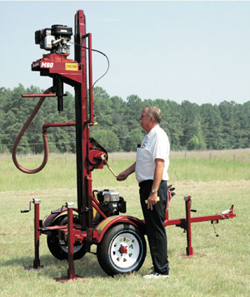 We utilize a variety of test/sampling drills, magnetometers, metal detectors, probes, etc. to locate tanks, take soil samples and test for contamination. We have performed everything from simple tank locates and simple Phase-I Environmental Assessements to complete Phase-III Assessments and Cleanups. We are one of the few who can biorememdiate a site using microbes, avoiding excavating and demolition. We have successfully remediated contamination underneath buildings and concrete slabs.